Planning for the week ahead? 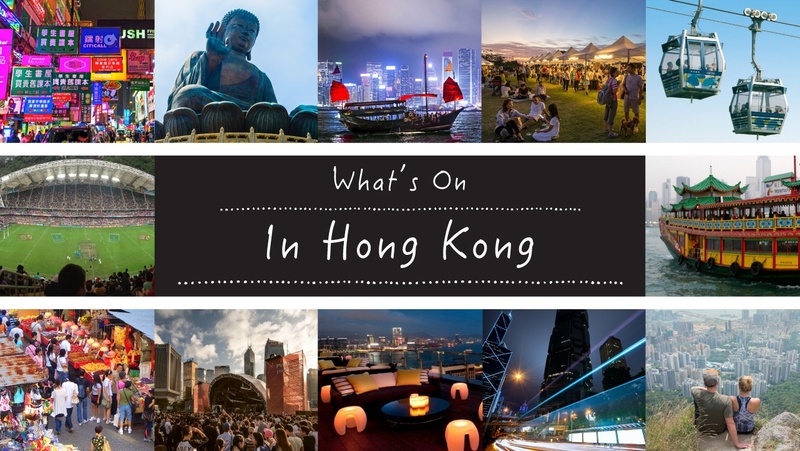 Let us help with these highlights of what’s on in HK this week 25 January 2019. Want more? Check out our comprehensive what’s on guide with full listings for the months ahead here. One of the current hottest K-Pop female groups, BLACKPINK is headed to Hong Kong for the first time as a part of their 2019 World Tour. This live theatrical performance in English is based on the Indian epic of the same name. Brought to the stage by a very talented group of young artists from New Zealand, the show aims to depict one of India’s greatest legends through modern day story-telling, beautiful dance choreography and a powerful soundtrack. In anticipation of Chinese New Year, #YogaForAll is giving back. Join teacher Will as he raises cancer awareness and donations for Maggie’s Centre by leading a free-flow vinyasa class to celebrate the upcoming Year of the Pig. Join in on this 3-hour wellness retreat to inspire the community to start off the year with a well-rested body and mind. There will be yoga and fitness sessions led by leading health experts as well as a talk on how to maintain a balanced diet at this event hosted by wellness entrepreneur Ifat Kafry Hindres. For one night only, guests are invited to meet one of India’s favourite TV chefs, award-winning Celebrity Chef Harpal Singh and enjoy his special curation at Jashan during the dinner service. The Red Stripes will be returning to Sai Kung to perform their infectious sets of danceable reggae/ska, supported by the fantastic Jimmy2Times. To back up all the glorious music, a plethora of local Hong Kong breweries will be coming personally to pour beers for you. A day of games, cheers, beers, nibbles & tunes from Triple J. Dress in green or gold, or anything that represents Australia to you and come expecting face painting, Creatures archery, a photobooth, a unique Kennedy Town brew and more! The Fringe Club in collaboration with NYC vegan chef and founder of Sweet Vegan Chocolates, Andrea Young is hosting an opening showcasing their dastardly delicious chocolates! Come along for delicious tastings, and stay for the giveaway of mouth-watering chocolate truffles. Come dressed in red to get your lucky Lai See and get a taste of how Hong Kong Pub Crawl likes to celebrate CNY. Expect shots of traditional Chinese liquor, CNY-themed games with prizes to be won, photo props and a chance to sample CNY snacks. This family friendly, charity road race will include 4 distances including a 10km, 5km, 3km and a family 1km race, as well as a Corporate Cup and School Cup. The event will also raise money for Diabetes Hong Kong.